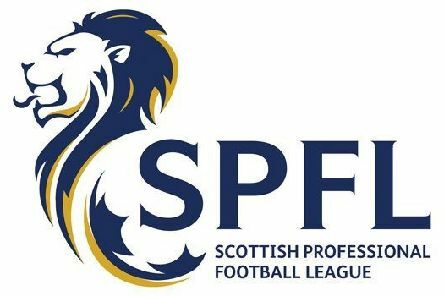 The final league games in the East of Scotland League take place this weekend with crucial games on Saturday in Conference A and Conference C to see who joins Bonnyrigg Rose in the Championship play-offs. 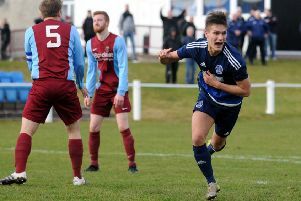 Penicuik Athletic took another step closer to securing the Conference A crown and a place in the Championship play-offs with a comprehensive 4-0 defeat of basement boys Tweedmouth Rangers. 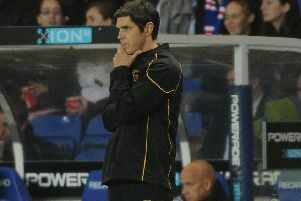 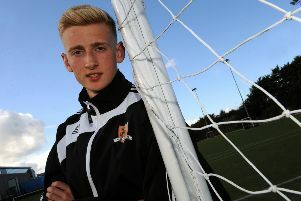 Johnny Harvey blasted the "negativity" around Berwick Rangers as his side crashed to a 3-0 defeat at home to Queen's Park, leaving the club bottom of League Two and clinging on to their SPFL status. 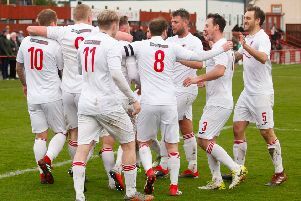 There were huge celebrations at the conclusion of last Saturday’s momentous SFA South Region Challenge Cup semi-final at New Dundas Park as Bonnyrigg Rose reached the South Region Challenge Cup final after winning a penalty shoot out 4-2 against Lowland League’s University of Stirling. 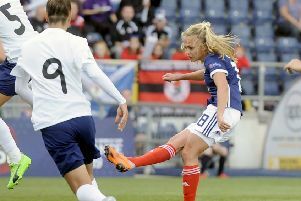 Claire Emslie helped the Scotland women’s team to a historic 1-0 victory over Brazil last Monday in their penultimate friendly before this summer’s World Cup in France. 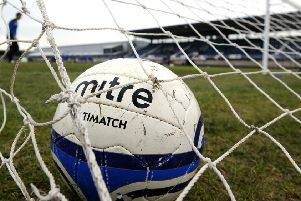 Whitehill Welfare will be playing East of Scotland Football next season as their six-year stay in the Lowland League will come to an end following relegation. 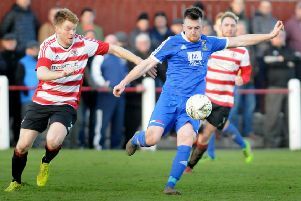 Bryan Young’s penalty heroics helped Bonnyrigg Rose beat Stirling University to book their place in the South Challenge Cup final against East Kilbride. 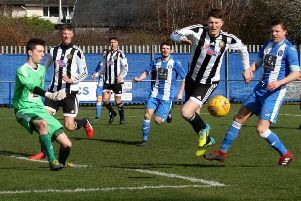 Newtongrange Star completed the East of Scotland’s Ground Hopper weekend with a comfortable 3-1 victory over Peebles Rovers. 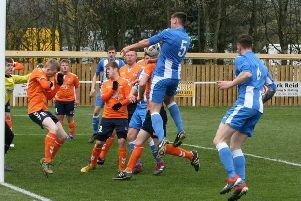 Arniston Rangers crumbled to a heavy 7-0 defeat against Hill of Beath as the Fifers climbed to the top of the table on goal difference in Conference A. 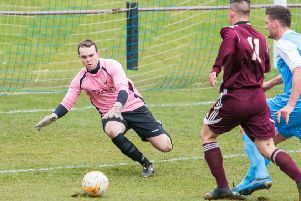 Goals from Paul Tansey and Steven Scott were enough to give Dalkeith Thistle a narrow 2-1 win against basement boys Eyemouth last weekend. 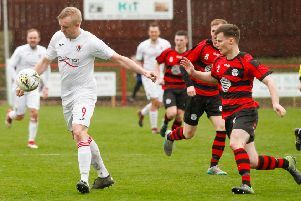 Bonnyrigg Rose boss Robbie Horn insists they won’t be limping over the finish line after they secured the Conference B crown and a place in the round robin play-offs. 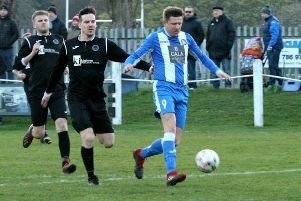 Penicuik Athletic breathed a sigh of relief last Saturday as a late Kyle Sampson strike rescued a point against Dunbar in Conference A and kept them on course to win the league. 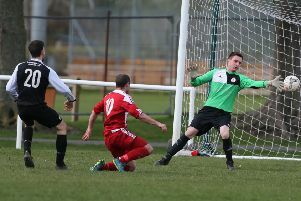 Bonnyrigg Rose clinched the East of Scotland Conference B league in style with a thumping 4-0 victory over Dunipace last Friday, booking their place in the round robin play-off against other conference winners to see who will be crowned East of Scotland champions. 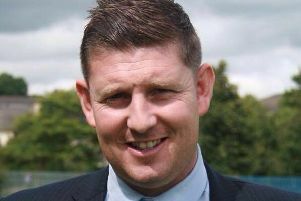 Bonnyrigg Rose boss Robbie Horn admits it is “incredibly frustrating” that they still don’t know whether or not they will be granted a SFA Licence, with the Lowland League deadline fast approaching on Sunday (March 31). 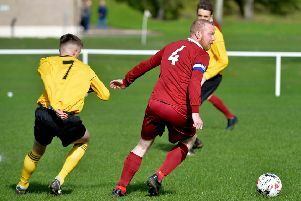 Easthouses Lily’s hopes of promotion next season were dealt a blow after they defeated 4-0 by Dunbar in Conference A.
Whitehill Welfare’s hopes of staying in the Lowland League were dealt a fresh blow as they beaten 2-1 by Gretna last Saturday, leaving them on the brink of relegation. 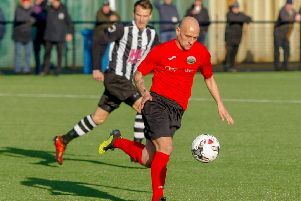 A first half four-goal blitz from Bonnyrigg Rose secured their safe passage into the quarter-finals of the Football Nation Qualifying Cup after a 4-2 win over Jeanfield Swifts.